Quantified Ventures benefited from working with a team of CASE i3 students – you can too! CASE often gets calls and emails from organizations wondering if there are ways to work with our fabulous students – and the answer is YES! One way for organizations working in the impact investing field to take advantage of the expertise and passion of our Duke MBAs is through the CASE i3 Consulting Program (CASE i3 CP). This program connects a team of 5-7 CASE i3 MBAs to an external organization to conduct a remote consulting project over the course of the academic year. Our students gain real-world experience through this “experiential course” and the organizations they work with benefit from extra capacity, outside perspective, and the MBA mindset for applying rigor to organizational challenges. We asked one of our 2017-2018 CASE i3 CP clients to share his experience working with the CASE i3 team. 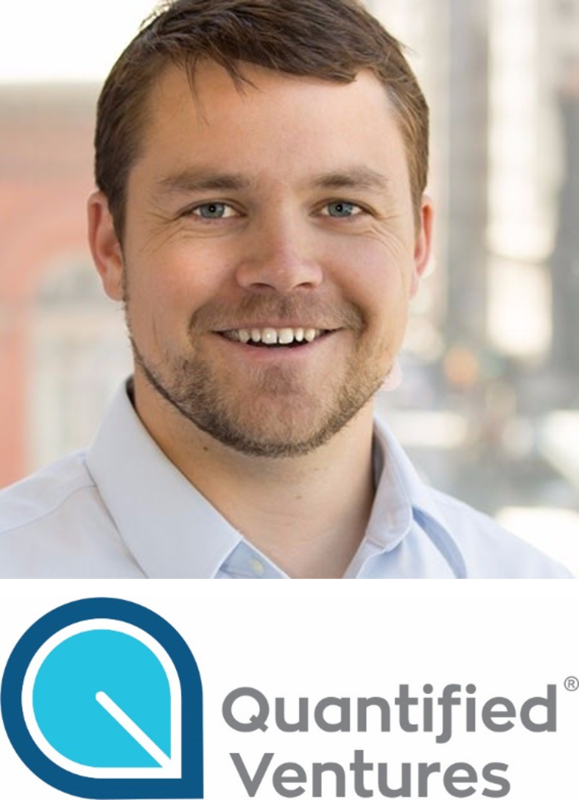 Seth Brown is a Senior Associate at Quantified Ventures, an impact investing advisory firm that is helping to build the market for Pay For Success (PFS), an innovative, evidence-based financing mechanism. Seth is also, notably, a CASE i3 alumnus, receiving his MBA (and MPP from the Sanford School of Public Policy) in 2017. In the interview with CASE below, Seth shares what brought him back to CASE i3, the value-add the student team brought to Quantified Ventures, and advice for future clients of the CASE i3 Consulting Program. Q: What motivated you to work with a CASE i3 team this past year? A: As a recent graduate, I was lucky enough to be aware of the program. As a former, CASE i3 team-member, I knew the value that CASE i3 could provide. When I started at Quantified Ventures, we were rapidly growing and dealing with the typical issues that all start ups face: lots of work, too few people, not enough hours in the day. We were heads down working on our projects at full steam. We didn’t have the luxury of time to do long term research projects to ensure we are positioning ourselves for long term success. We recognized the issue, and I recommended CASE i3 to the team. The entire team loved the idea of bringing in outside support to provide a different lens and point of view on our work. Q: How did the project the student team worked on relate to your ongoing work at Quantified Ventures? A: At Quantified Ventures, we work with Pay for Success (PFS), an innovative financing mechanism in impact investing in which investors provide up-front capital for evidence-based projects, with repayment tied to the successful achievement of outcomes. It is a useful tool for aligning incentives, sharing risk with the private sector, and building a financing technique around data and validated outcomes. We are building a market for PFS from scratch. As we do that, there are many potential use cases for PFS and as a company we are constantly approached with new and exciting opportunities. To have the greatest impact, we need to be strategic and identify use cases that are not only viable for outcomes-based financing, but are replicable and scalable. We recognize that PFS cannot solve all of society’s problem and for some of those that PFS can solve, it may too “bespoke” to allow for replication. How do we filter out what has high potential for scalable growth? How do we do that in a uniform manner across so many different areas of interest? To answer those questions, the CASE i3 students used their unique backgrounds and the tools that Fuqua provides to create a workable, uniform assessment tool for Quantified Ventures. That was the value that CASE i3 provided. Q: Anything that surprised you about the project or working with the student team? A: The talent! On each CASE i3CP project there is a 2nd year Fellow leading the team, and our Fellow, Kat McNeil, was a fantastic manager and ensured the team was driving progress each week. The unique backgrounds of the team ranged from practicing lawyer to former teacher and investment banker. They brought such great insight to the project. Also, the project went so fast! We applied in September for what seemed like a long-term project, but the main project work—which took place over the 12-week spring semester—went by in a flash. Weekly updates are critical and the amount of work the team does in between each check in is very surprising. It’s crazy what six MBAs can accomplish in only 12 weeks. Q: Since you are also a Duke MBA and CASE i3 alumnus, what was it like working on the other side of the project, as a client this time? A: As a student, CASE i3 introduced me to impact investing and I had the opportunity to work on a CASE i3CP project with SJF Ventures in Durham, NC. The experience was eye opening and reaffirmed my interest in pursuing a career in this field following my graduation. Now at Quantified Ventures, I’m on the other side of the table managing the student team. There was great benefit in formerly being a team member for two reasons. First, I knew the skills and limitations of what the students could and could not provide our team. Second, I remembered that the value of the project goes both ways. At Quantified Ventures, we really needed their final product and were excited for the final presentation, but we also recognized that the team wanted to get something out of it. They wanted insight into our industry. They wanted to meet our team members. So, as a client, I tried to be really intentional about giving them access and information beyond what was necessary for the final product. Q: Any advice for other organizations considering working with a CASE i3 team? A: You get out of it what you put into it and to get the most of out the project, you need to put in the time to work with the students. Having someone at the organization who is responsible for working with the team on a regular basis is essential. Keeping a schedule and sticking to it is important. For instance, one missed weekly check-in pushes the next touchpoint to two weeks, which is one third of an MBA’s six-week term. That’s huge! Also, it is important to identify a project that is specific enough for it to be actionable for the team, but broad enough for the team to shape the scope. This is a delicate balance for any organization to consider as it applies to the program. Q: How did the broader Quantified Ventures team feel about the outcomes of the student project? Applications to work with a team over the 2018-2019 academic year are due on August 31.